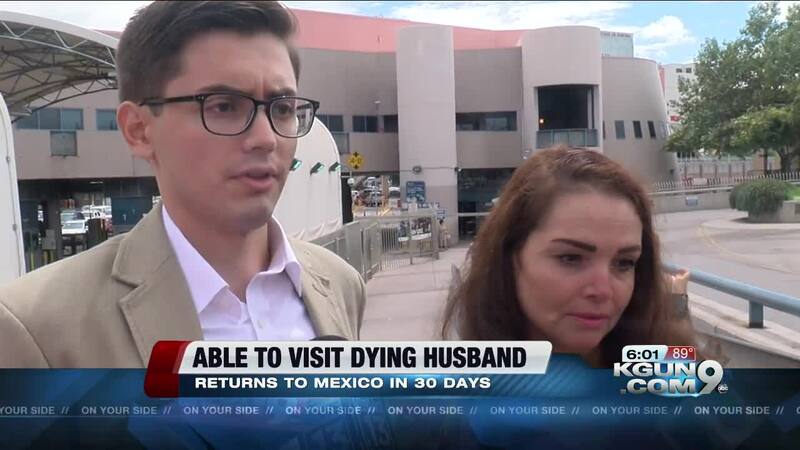 A change of heart: Mexican mother granted permission to see dying husband in U.S.
A Mexican woman who had been turned away at the border, has been allowed to enter the U.S. to visit her dying husband. Gloria Arrellano Montoya had been barred because of an old immigration violation but after a surge of support immigration officials reversed their ruling and have let her spend 30 days in the U.S. before she must go back to Mexico. A lot of heartache, stress and suspense led up to an emotional moment on the U.S. side of the DeConcini Port of Entry. 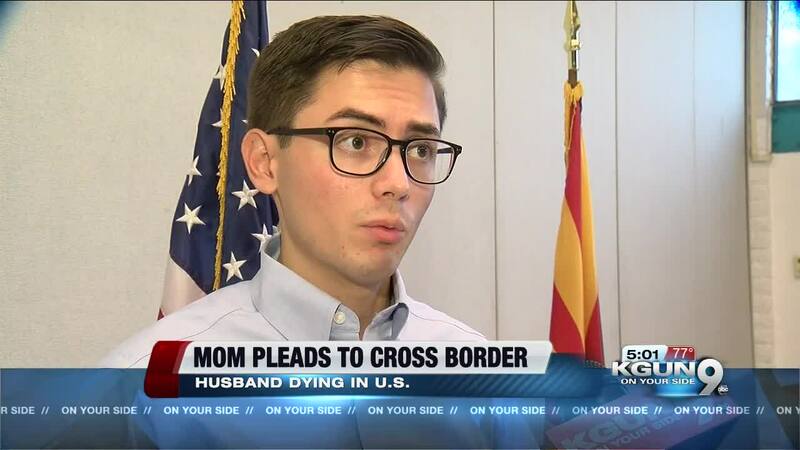 Bill de la Rosa was able to bring his mother Gloria from Mexico, to the U.S. to see his father, her husband, probably for the last time before he dies. She was turned back at the border a few days ago---banned from entering because she had entered illegally many years ago. But that prohibition changed overnight. With her son Bill translating, Gloria Arrellano Montoya said, "I'm very very grateful for everyone for everyone's efforts and their hard work. I knew from bottom of my heart that you know they're they're also human and that they would realize too that the needs that we had and she's glad that she's been able to cross she also said that she's going to be spending these last few moments with my dad her husband and she's happy that she can be with their children at least." The move comes after a public plea for the request Thursday morning with Montoya's family and Rep. Grijalva in Tucson. Bill de la Rosa and his family are all US citizens except for his mother. When his Mom was turned away, they worked hard to convince the government to grant a few last days with her husband. They mounted an on-line petition campaign and convinced Congressman Raul Grijalva to write the Secretary of Homeland Security asking her to intervene. Less than a full day after a news conference at Grijalva’s office, Bill de la Rosa got the word the government would allow entry and grant a 30 day parole on humanitarian grounds. He rushed to meet her in Mexico and bring her across---worried about the chance of a last minute hitch, and surprised and grateful when it all came together. He says, "Definitely did not expect this. We were just fighting against all odds I think and luckily we had champions by our sides." The family, Congressman Grijalva, and the family's immigration lawyer don't really know who in the immigration change of command had that quick change of heart. But they're glad they did.